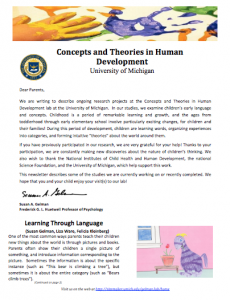 Our 2018-2019 Newsletter is officially out! We hope you enjoy reading this, just as much as we enjoyed making it. 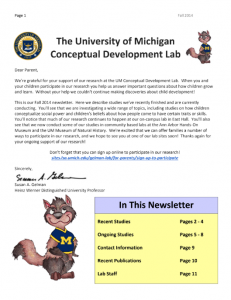 Didn’t receive a Newsletter? 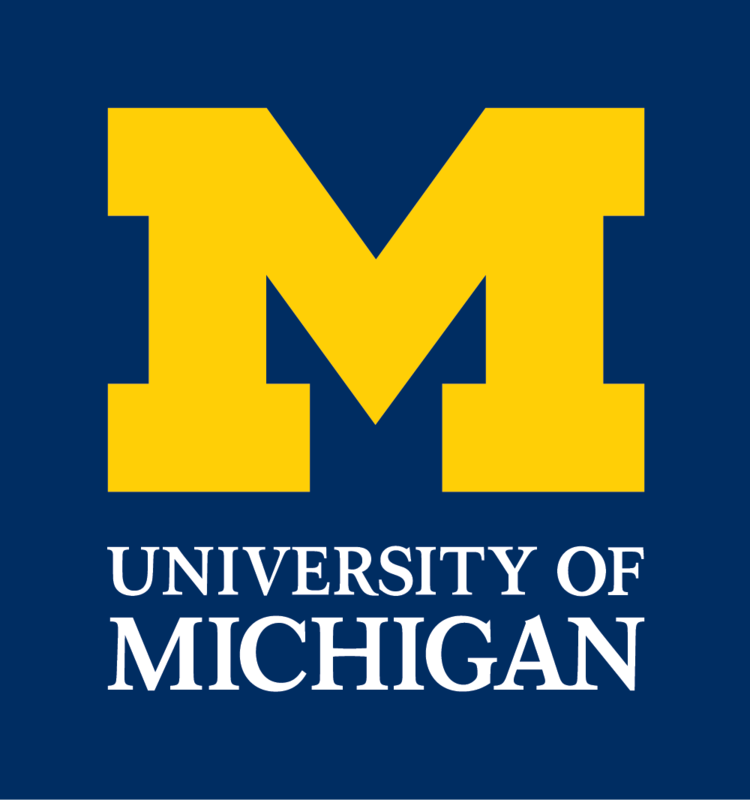 Contact us and we would be happy to add you to our mailing list! 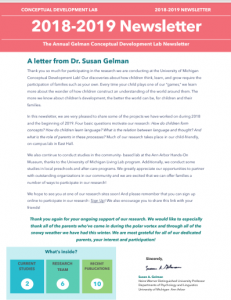 Click the picture below to view the 2018-2019 Newsletter! 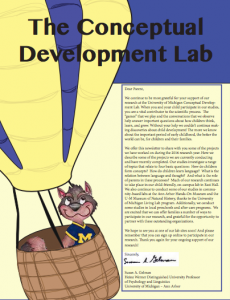 Check out the 2015 Conceptual Development Lab Newsletter by clicking the picture below! 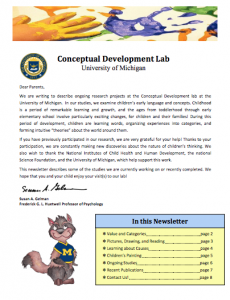 Check out the 2014 Conceptual Development Lab Newsletter by clicking the picture below! 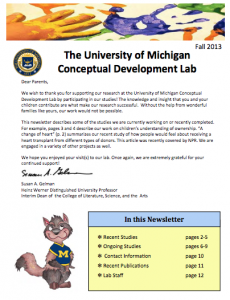 Check out the 2013 Conceptual Development Lab Newsletter by clicking the picture below! Check out the 2012 Conceptual Development Lab Newsletter by clicking the picture below! 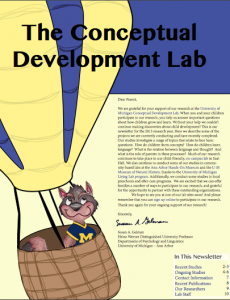 Check out the 2011 Conceptual Development Lab Newsletter by clicking the picture below! 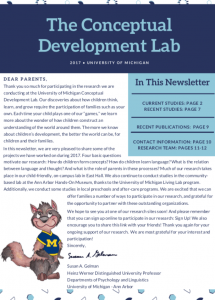 Check out the 2010 Conceptual Development Lab Newsletter by clicking the picture below!